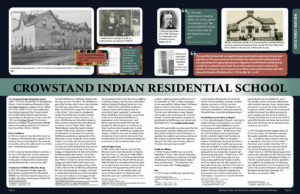 The Crowstand Indian Residential School (1889 – 1915) was operated by the Presbyterian Church. 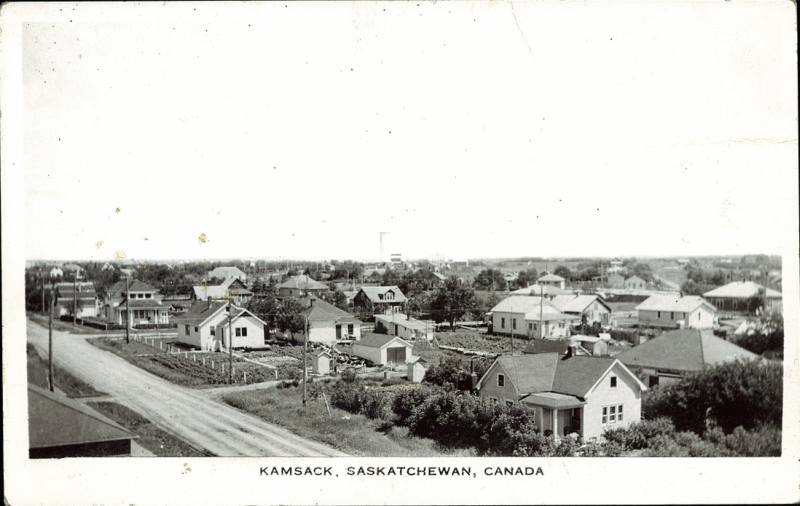 It was located near Kamsack on Cote First Nation Reserve on Treaty 4 land. The building was erected in 1899. 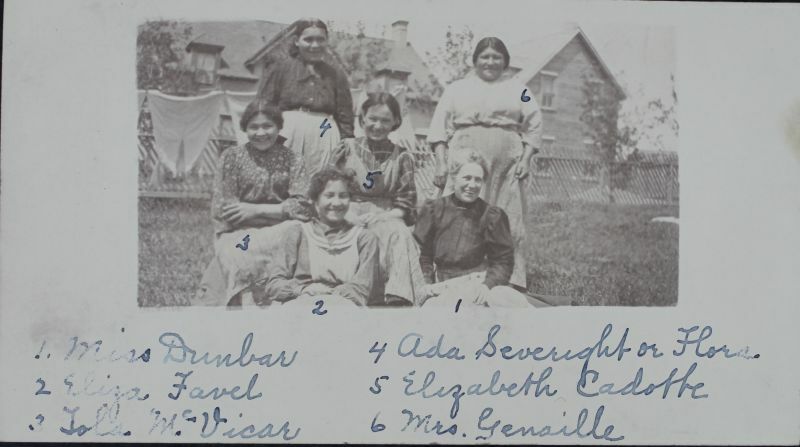 When the school closed in 1915, it was replaced by Cote Federal Improved Day School in December 1916, located on Cote First Nation Reserve, and was also operated by the Presbyterian Church, and after 1925, by the United Church (The Women’s Missionary Society). 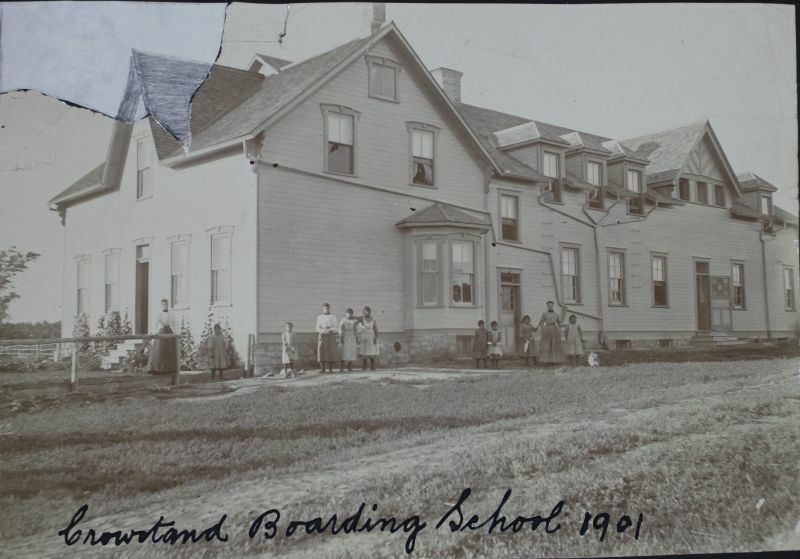 The government officially approved boarding students at Cote Federal Day School from 1928 to 1939/40. In 1887, Rev. Geo. A. Laird (B.A. 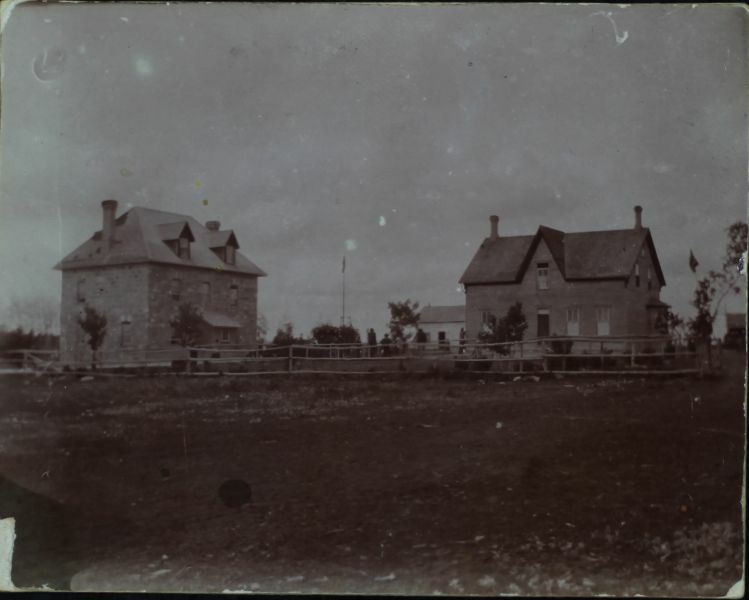 Dalhousie; B.A. 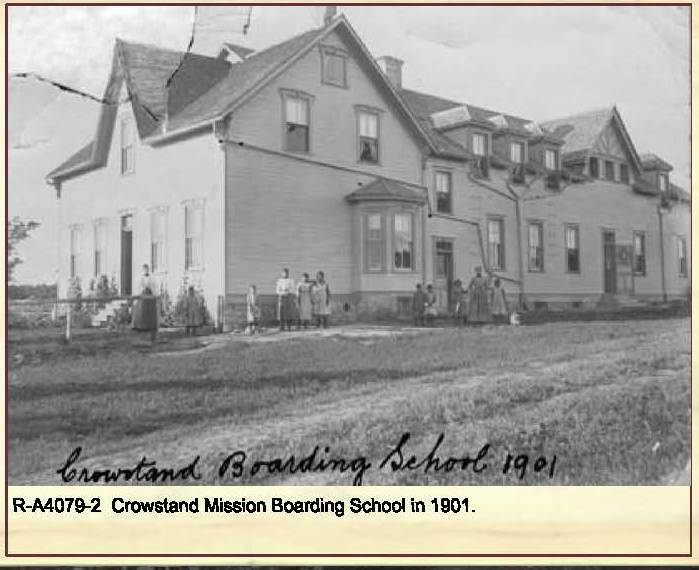 in Theology, Manitoba College) was appointed to Fort Pelly reserves, which has since become known as Crowstand Mission. It was “during his regime a boarding school was established. 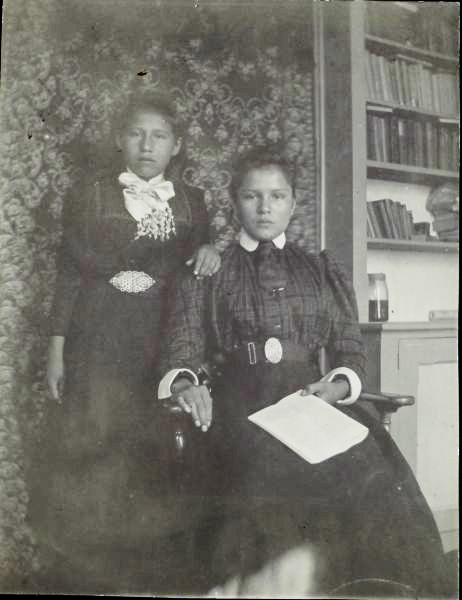 It began by Mr. and Mrs. Laird taking some 8 or 10 Indian children into their own home during the severe weather of winter. From this self-denying and unremunerated beginning, the school grew until at one time it had as many as 55 pupils, but owing to transfers to Regina and other causes, this number has been reduce to about 30. 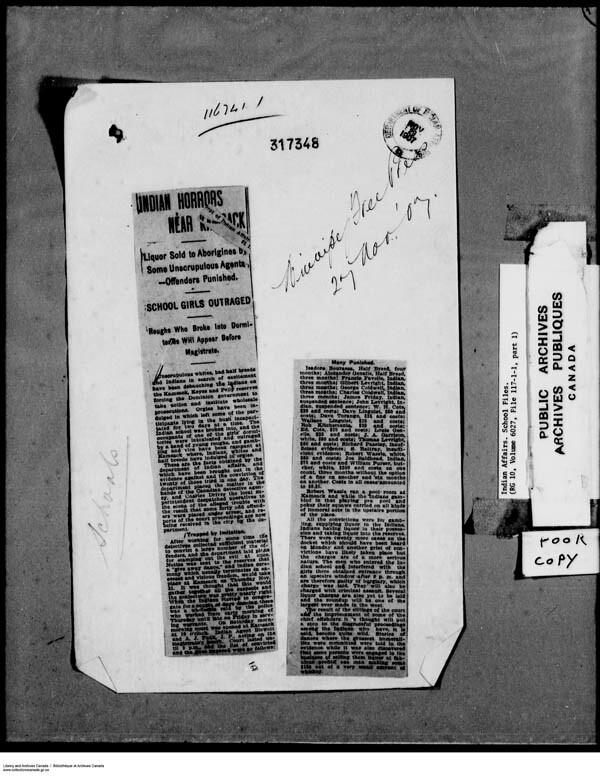 Mr. Laird was succeeded in April, 1892, by the Rev. 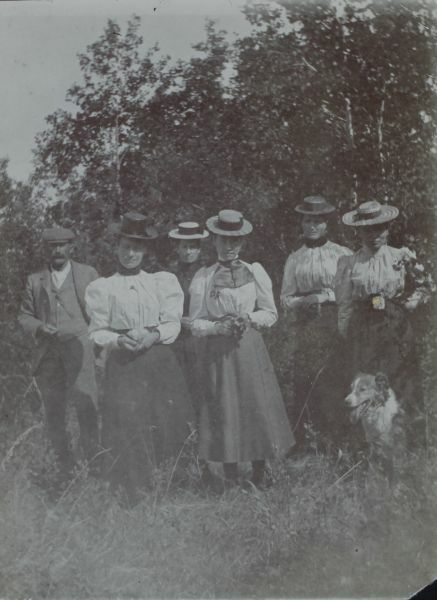 C. W. Whyte (B.A) who is assisted by his brother Mr. John S. Whyte as tade’s instructor, by Miss Kate Gillespie, as school teacher, and by Miss Flora Henderson, as matron (p. 18)”. Baird, Andrew Browning. 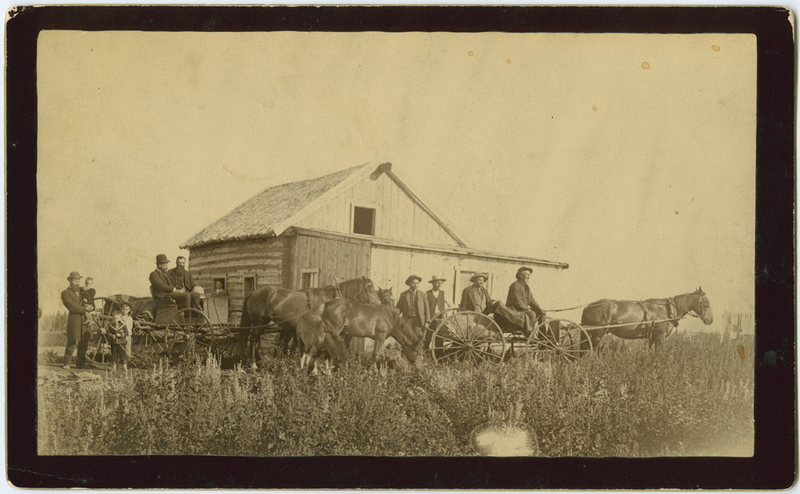 The Indians of western Canada. Toronto: Press of the Canada Presbyterian, 1895. 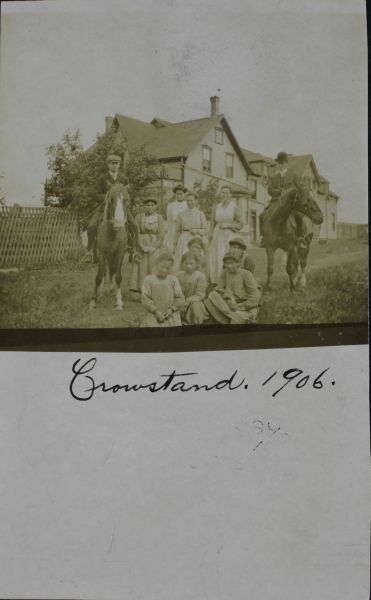 “At Crowstand I have found very warm and kind friends in Mr. and Mrs. Whyte. Mrs. Whyte keeps such a motherly eye on Miss Scott and me that it is never necessary for us to make her acquainted with the fact that we are feeling tired or sick, as she always sees it for herself. 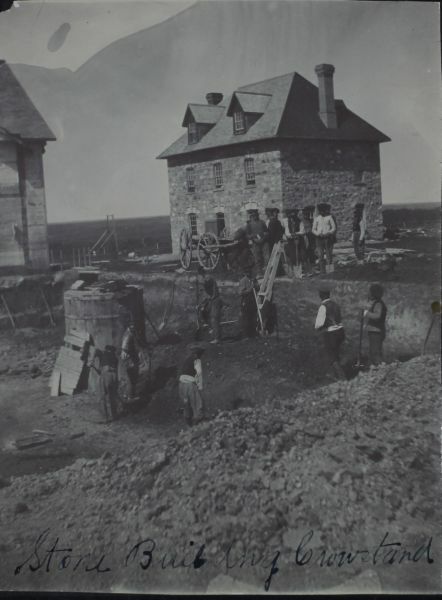 There are discouragements as well as encouragements connected with our labours here, but we share them with each other, and are all happy and hopeful (MIL, WFMS, WD, PCC, July 1894, Vol. 11 No. 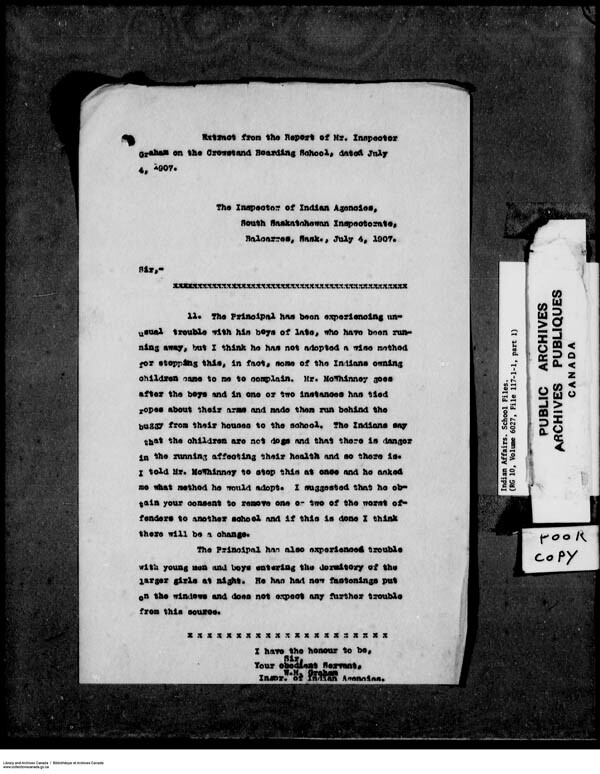 3, letter by Miss Gillespie, dated 30 Apr 1894, p. 73). However, parents understood that it was due to lack of supervision.